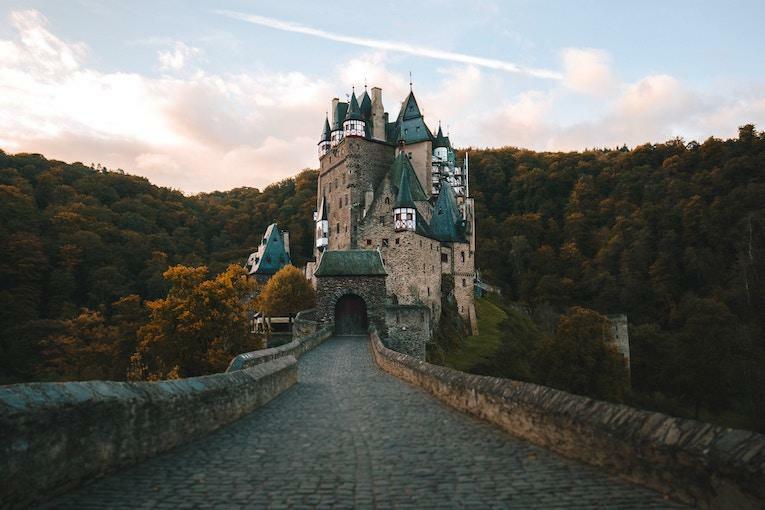 Grand Neuschwantstein usually gets all the attention as far as German castles go, but this smaller turreted dwelling in Germany’s Rhineland is just as Disney movie-worthy and gives the Bavarian tourist fave a run for its money. Eltz Castle is located in the middle of the dense Eltz Forest in central Germany. There are a total of eight towers in this castle perched on top of a cliff, and it’s about as close as you can get to walking into a medieval fortress as it would have been in the 9th century. This castle is special for a couple of reasons. It’s never been destroyed — not in any of the wars that have rocked Germany over the past 800 years. 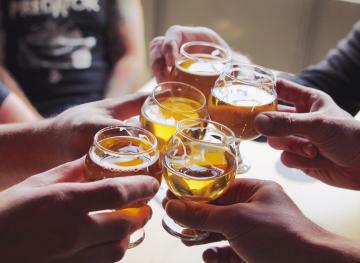 And it’s been owned by the same family through it all, which means the castle even has some artifacts from each of these eight centuries, such as furniture, armor and silver and gold jewelry. There are many ways to get to this real-life fantasy land. You’ll have to walk a little bit to the castle regardless, but we suggest taking a longer hiking route to really appreciate the area’s views. 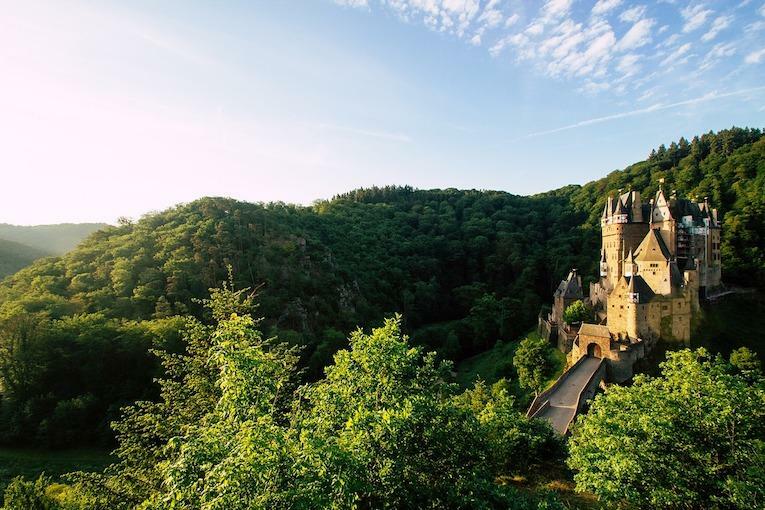 In fact, there’s a hiking trail named the Eltz Castle Panorama that provides all the necessary vistas, as well as an intense hike. 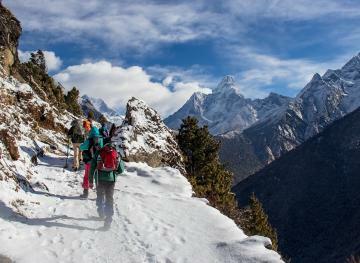 It’s five hours from start to finish so it’s not exactly a gander through the forest, but it’s potentially one of the best in the entire region so we say pack your hiking boots. Five hours just a touch too long for your tastes? 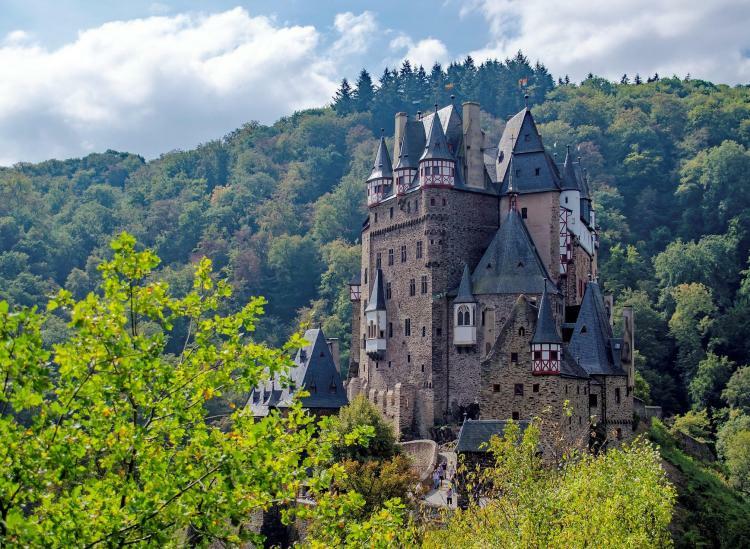 You can also take a 2.5-hour hike from Eltz Castle to nearby Pyrmont Castle for a two-in-one deal. If you’re looking for a lighter stroll, take the path that follows Eltz Stream up to Eltz Castle. On weekends and holidays, you can take public transportation all the way to Eltz. Starting from whichever German city is your base (both Frankfurt and Cologne aren’t too far), you can take a train to Moselkern, connecting through other nearby cities. Entrance to the castle costs about $12.